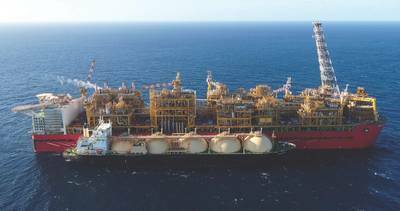 When at plateau production, Prelude FLNG — the world’s largest floating producer of liquefied natural gas, or LNG — will fill one shipborne cargo every week. As production ramps up from test volumes, there’s the dawning realization of a dramatic shift in LNG markets. 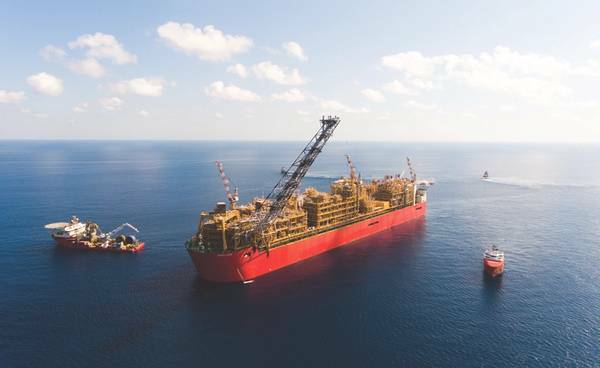 Criticized in Australia when gas glut threatened, Prelude FLNG plodded on from decision gate to first gas in December 2018, and now seems the master stroke that’ll ensure Australia remains atop world LNG sales. Now, more than ever, large-scale FLNG looks every bit the nation-builder that oil has been. 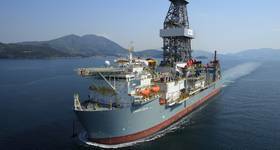 “I’m sure you can appreciate the volume of global enquiries we receive on Prelude … is immense, and given the time of year, it’s especially busy for those of us working,” Shell spokesperson, Rachael Power, told Offshore Engineer. Shell staffers – on the eve of solidifying Australian floating liquefied natural gas (FLNG) supremacy – celebrated first gas, Christmas and New Year in quick succession. Commissioning had already lasted several weeks. So, was the project’s complexity and scale again beginning to tell? With Christmas on, it seemed a lid was being kept on publicity ahead of official “first gas”. Still, we sensed start-up was imminent, and it was. On Christmas Day, the world’s largest offshore floating facility began filling its remaining two (of six) liquefied natural gas (LNG) storage tanks while testing the vast complex of process plant on board. Incessant delay linked to project scale seemed at an end. Commissioning in early December led to ramp-up by New Year’s, and now the project is scheduled to “plateau” producing 3.6 million tonnes of LNG per annum; 1.3 MMtpa of light oil and 400,000 tonnes a year of liquefied petroleum gas (LPG) by 2020. Judging by comparable offshore gas projects – well, not quite – the first LNG carriers might expect to pick up cargoes by mid-February. “We don’t comment on costs of our projects and comparisons with others or schedule but will ship our first cargo when we are ready and it is safe to do so,” Powers wrote in an email. Prelude’s operations crews had already practiced ship-to-ship transfers, when export process kit was used to “import” a delivery of test volumes. There is no business-as-usual for FLNG starts these days. Markets and the supply chain have changed. Now, Prelude FLNG itself has changed them further. So, Prelude joins a “maturing” FLNG market still fixated largely on richer gas prices in pipeline-poor Korea, Japan and China. The market is enabled by a smallish network of process engineers offering front-end engineering design (FEED) although alliances once made with liquefaction contractors no figure prominently in annual reports, perhaps in light of Prelude’s success. Australia can boast eight substantial LNG export installations and has surpassed Qatar, for now, to become the world’s top LNG producer. China, meanwhile, is closing in on the No. 1 importer title. Soaring Indian demand, too, is good news for Prelude. As offshore operators get to know their FLNG supply chain, China and India are rapidly amassing alternate suppliers of gas that include the ExxonMobil-led PNG LNG, Yamal and BP. With Prelude FLNG, China, Korea and Japan gain a supplier of scale to mitigate disruption and stir (or stifle) competition. Beijing’ 10% tariff on U.S. LNG also bodes well for Prelude cargoes, and the Energy Information Agency says China is set to expand its already substantial 17 LNG import terminals and their combined regas capacity of 7.4 billion cubic feet per day. India, Shell’s LNG Outlook 2018 says, will, by 2022, increase its LNG imports to 70 MMtpa from today’s 500 MMtpa. Korea has its own “go-greener” program and wants more LNG. What Prelude signals the most, perhaps, is the supply chain’s ability to help make large-scale FLNG as viable as newer, small-scale FLNG and even land-based LNG. At Prelude, Shell’s worldwide gas-trading operation and Asia’s proximity to Australia justify scale, and the facilities economies of scale are now insurance for when prices fluctuate. Back in 2012 – that year of FLNG project go-aheads – the supply chain was busy protecting patents, forming alliances and learning from operators, including Shell. Whether using refrigeration tech or exhaust processes, small-scale looked more “doable”. Early movers rounded on their own remedies for converting hulls to LNG holds and gas to liquids. When Prelude was an idea, new liquefaction solutions from Britain, Germany, Japan, Norway and the U.S. seemed to stimulate consortia of contractors ready to offer FEED or deliver engineering, procurement and construction (EPC). It was during that fateful six-year span of frenzied FLNG bandwagonism that Prelude FLNG – seen by some as too bold, too large or unnecessary – took shape. In October 2012, the cutting of 260,000 metric tons of steel set the Technip Samsung Consortium to work at Samsung Heavy Industries shipyard in South Korea. Three short years later, a 488- by 74m floater left drydock for further fittings and sea trials. 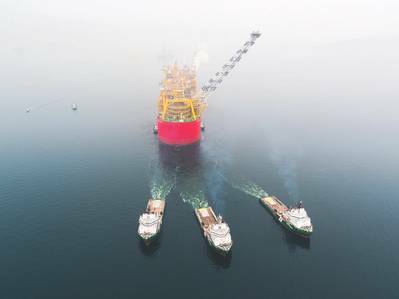 Shell’s push to test the limits of FLNG had achieved that major milestone. Suppliers and rival operators had to marvel at the commercial power about to be harnessed. Once fully laden, the 600,000t vessel could supply all of Hong Kong’s LNG needs for a year. As 2018 wound down, production wells, mooring lines, two umbilical and four risers were joined to the moored turret designed by SBM. “This is the first of what Shell expects to be multiple Shell FLNG projects,” Shell proclaimed. What a difference a few years make! 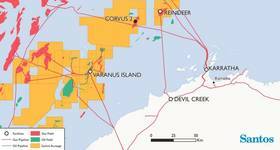 In Prelude’s wake, a number of other aspiring FLNG players appeared to roll-up development plans. With production plant now tapping Australia’s big gas fields, Prelude’s technological achievement is a high-water mark. While the tech used offshore derives from years of onshore LNG, Shell also presided over new FLNG innovations to manage sloshing in LNG tanks; the coupling between wells and LNG plant; liquids offloading; mooring systems and marine-proofing of process equipment like absorption columns and the facility’s main cryogenic heat exchangers. More than 600 engineers and 5,000 other workers from hundreds of suppliers provided the grind of minds and onboard cacophony that changed criticism into admiration. 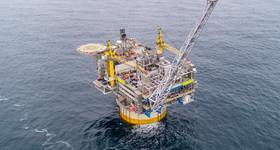 “The Prelude turret mooring system (TMS) represents a significant milestone in SBM Offshore’s gas experience and is a testimony to our technological expertise for turrets,” SBM spokesperson, Paula Blengino said. With palpable respect, she added, “The Prelude FLNG is a Shell project.” The TMS’s main job is to keep Prelude on-station by allowing the vessel to weathervane around its moorings. That means fewer moves to protect the facility’s riser system. 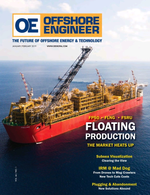 “In the future, SBM Offshore will focus mainly on FLNG projects where it can add most value by acting as a main contractor, as it does successfully for the [floating production storage and offloading (FPSO)] market,” SBM management had written. Medium-sized projects of “up to 2 MMtpa” were to be a focus. 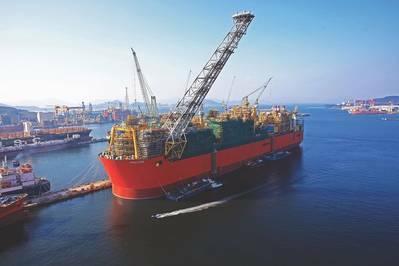 Today, SBM is an FPSO engineering heavyweight that appears ready to offer a standardized, ostensibly cheaper and more versatile, FLNG design akin to its floating oil production offering. Beyond 2018 – a year of Awilco LNG said saw 40% more LNG production – LNG carrier rates look set to rise along with LNG prices to beyond 2023 (EIA). Beyond that, LNG imports are set to more than double to 2040. Prelude’s scale should come in handy.